A development of 22 new homes overlooking the green fields of Melbourne. Five property types are currently available at The Paddocks, with prices starting from just £350,000. 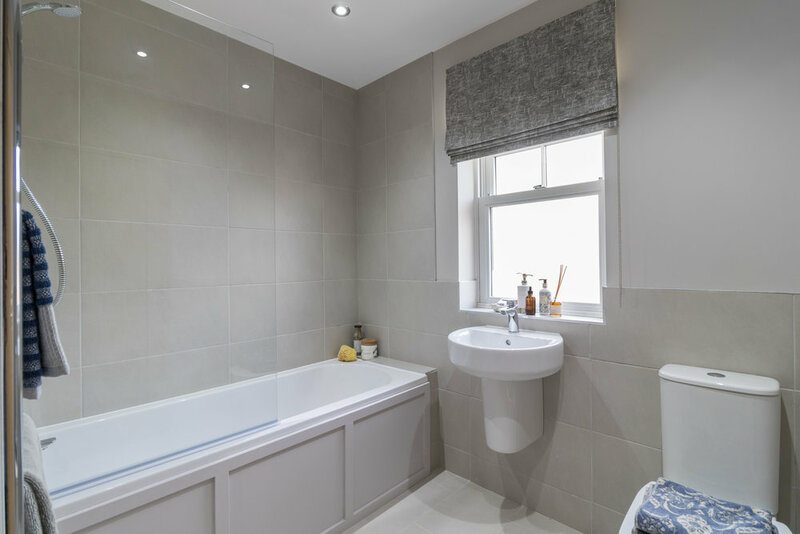 A spacious and competitively priced home boasting three double-bedrooms, the Storwood also offers an en suite to the master in addition to a family bathroom on the first floor. A large open plan kitchen and dining area provides a perfect family hub on the ground floor. With two en suites and four large double-bedrooms, the Thornton is an ideal home for those who need room to grow. Kitchen, dining and living rooms flow together on the ground floor, opening to a wide garden and patio area. A single garage sits at the front. This deceptively large home is laid out across two stories, offering a wealth of communal space on the ground floor and four large double bedrooms on the first. An en suite to the master completes the layout. Outside, a separate double garage provides ample room for parking. 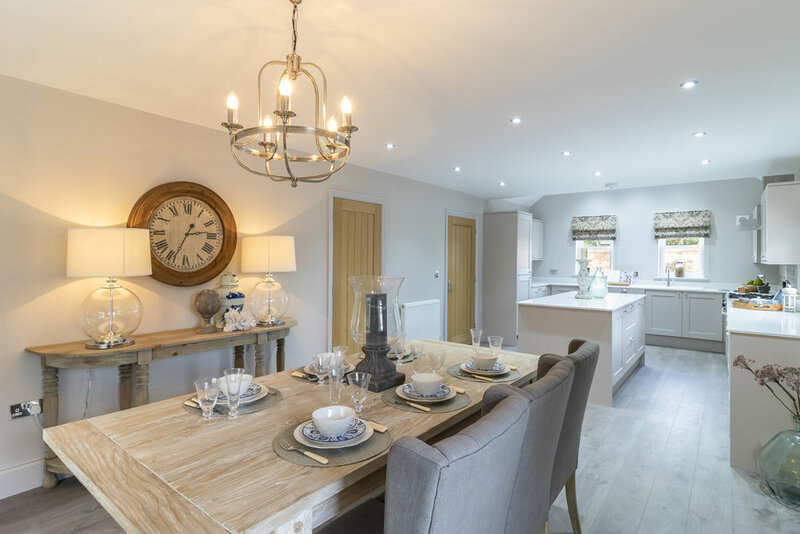 While its open kitchen and dining area already provide a wonderful family space, the adjoining snug featured in the Burnby is sure to delight: this bright and open garden room offers a wonderful place to relax. Upstairs are four large double bedrooms, with an en suite to the master. A double garage sits alongside the front of the property. The largest property at The Paddocks, the Everingham extends to more than 2,500 square feet. On the ground floor, this translates into a wide and versatile family space, stretching from kitchen to snug and on to the adjacent living room. 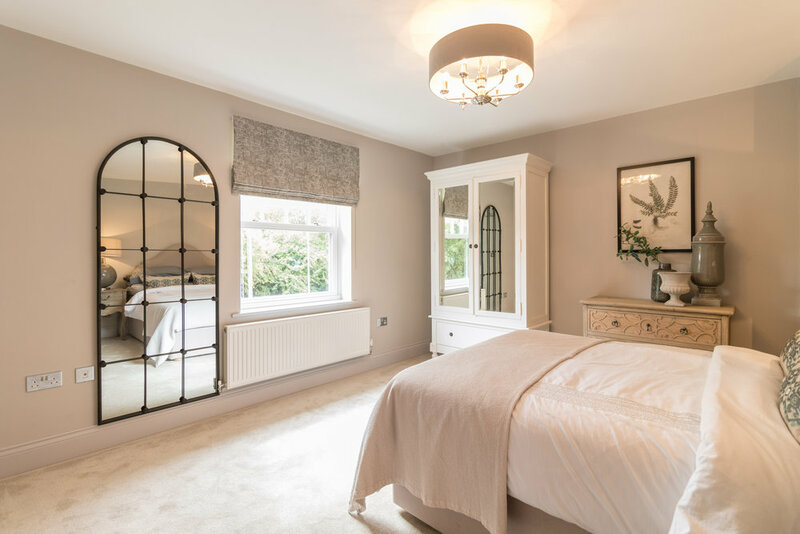 Upstairs are four large double bedrooms, two of which benefit from en suite bathrooms, with an additional dressing room to the master. A very large fifth room – perfect either as guest bedroom or home office – adjoins the hall, sitting above a double garage at ground level. One of the most unique elements of our build at The Paddocks is the space afforded to the site. While every home comes with a sizable garden as standard, buyers also have the option of purchasing an additional area of land to the rear of their property that serves as a considerable increase to the already generous outdoor space for a very reasonable fee. The size of the additional land available varies from property to property, though current averages sit between 200 and 250 square meters. Please note that pricing and exact dimensions for this additional space will be agreed prior to exchange of contracts. This land may not be used for additional development of any kind, either by residents, Palladian or any other party. Both inside and out, every home at The Paddocks will be finished to Palladian’s impeccable standard. Farrow & Ball colour palettes are employed to beautiful effect across each house, and all properties come with an incredible specification that includes wood-floor entrance hallways, wood burning stoves, inglenook-style fireplaces and fully tiled family bathrooms. Generous kitchens will offer an integrated dishwasher, fridge/freezer and freestanding gas range cookers or ovens, while bathrooms benefit from Ideal Standard Contemporary White sanitary ware and chrome fittings throughout. Just a 30 minute drive from the medieval streets and Roman ruins of York, Melbourne is ideally situated for those who want the peace and space afforded by a countryside home with the option to enjoy the many attractions offered by city life. Surrounded by open fields and long and lovely views, The Paddocks is situated at the western entrance to the village. A shop, village hall and highly rated primary school can all be reached on foot in a matter of minutes. The Melbourne Arms, a short stroll from The Paddocks, is loved for its open fires, phenomenal Gastropub dining and a wide selection of wines, cask ales and cocktails. From April to October, residents and visitors alike can enjoy short boat trips on the New Horizons canal boat, a service provided for free by the Pocklington Canal Society. As of 2018, residents have started an initiative known as Melbourne Christmas - one which sees a Christmas tree erected in the centre of the village and gifts donated to local children. Palladian is a proud sponsor of this wonderful new tradition.